Our customer came to us with a brand new Newmar Dutch Star that came with a factory installed double door residential refrigerator. 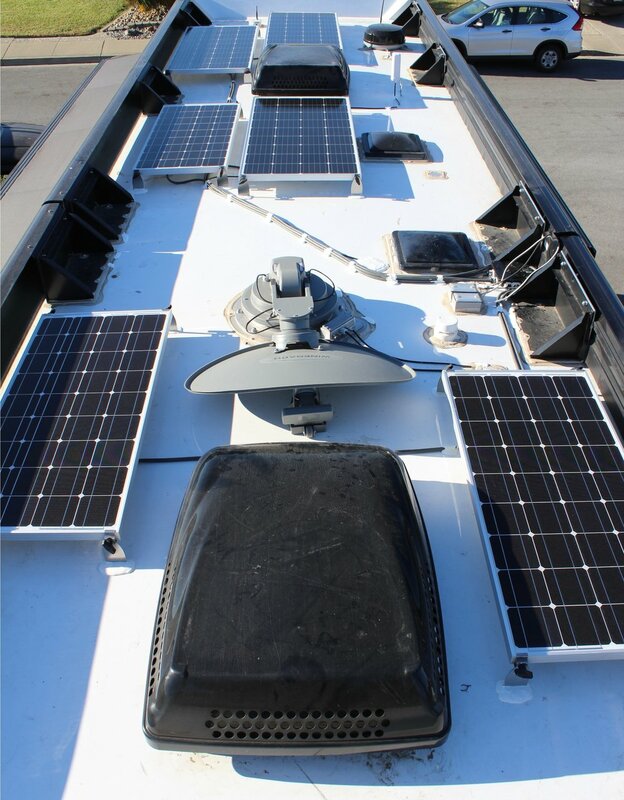 Their ultimate goal with the solar was to supply enough power to run the fridge and some additional accessories when needed while dry camping. 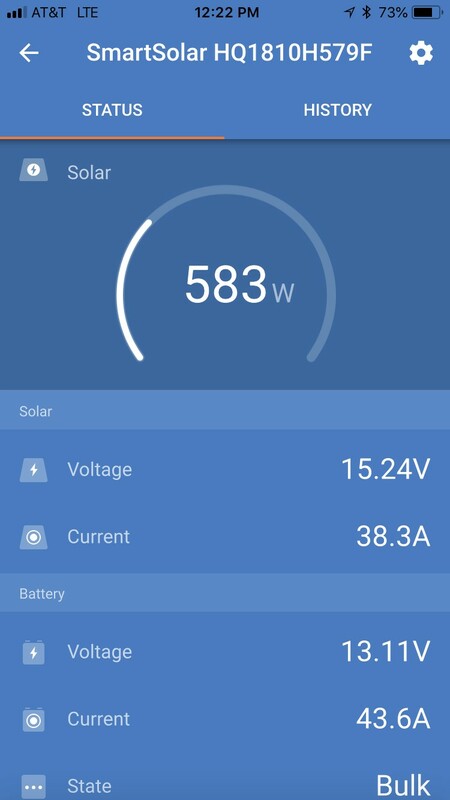 We installed a Victron SmartSolar MPPT 150/85-Tr Charge Controller and a total of 840 watts of solar (qty 3 SF180 & qty 3 SF100 AM Solar Panels w/ Tall Rocker Mounts) along with a Victron BMV-712 Battery Monitor. We also installed a weBoost cell booster on a dedicated circuit w/ roof mounted antenna using custom fabricated bracket forward of living bath and routed internal antenna to bedroom night stand. 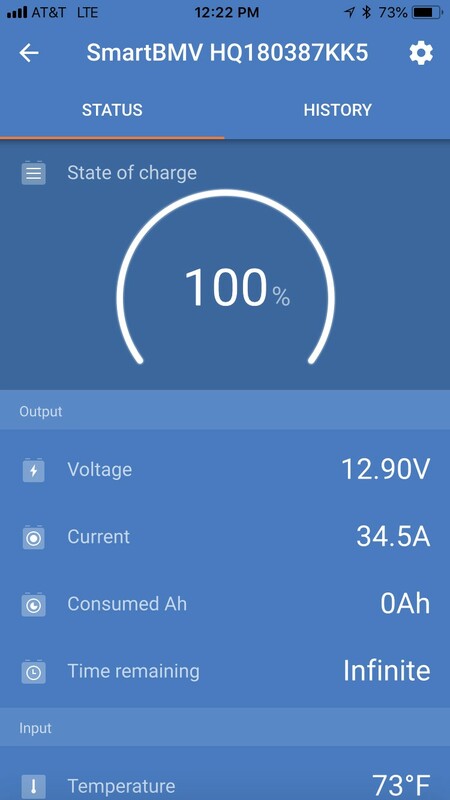 With the Victron SmartSolar and SmartBMV products, you have full access to your solar and battery data via the free VictronConnect app available from your iPhone or Android app store.